Are your ears cold? Or are you just trying to block out the sound of our voice? Welcome to the worlds greatest guide to Women's Earmuffs. Are you actually looking for ladies earmuffs? Well, we hope you are because the reality is that you have found our page on the subject. In this women's clothing section of the Apparel Search directory, you will find all sorts of interesting information regarding earmuffs for women. We are talking about earmuffs for fashion and warmth. Not protective for construction, load noises, etc. Earmuffs are objects that are made to cover and protect a person's ears. Thermal earmuffs, worn in cold environments to keep a person's ears warm with pads of cloth or fur. Chester Greenwood invented the thermal earmuff in 1873, at the age of 15. He reportedly came up with the idea while ice skating, and had his grandmother sew tufts of fur between loops of wire. He was awarded patent #188,292 on March 13, 1877. Apparel Search is a leading guide to fashion, style, clothing, glam and all things relevant to apparel. We hope that you find this Women's Earmuffs page to be helpful. What ever you are wearing to cover your ears is most definitely in fashion this season. If you want to be even more stylish, you should wear your Women's Earmuffs. 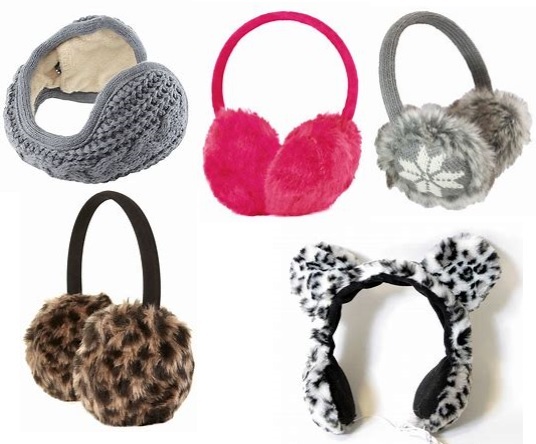 If you work in the fashion industry, you may need to find a good earmuff factory.